If you and your family love visiting theme parks, then Malaysia is the ideal vacation destination for you for the country is home to several theme/amusement parks, which are actually major revenue earners for the Malaysian economy. So which are the best theme parks in Malaysia? Listed below are some theme parks are considered to be the ‘best’ in Malaysia. This theme park which extends over an area of 88 acres is located in Petaling Jaya in Selangor. 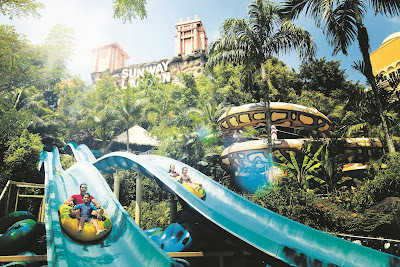 Sunway Lagoon hosts more than 70 attractions within its five main areas: - Water Park, Amusement Park, Extreme Park, Wildlife Park and Scream Park. Additional attractions at the park include a man-made surf beach and a suspension bridge. Sunway Lagoon offers something for all ages and tastes. Located in the state of Johor, near Singapore, Malaysia’s newest and first international theme park features seven distinct themed areas like the Beginning, LEGO® Technic, LEGO Kingdoms, Imagination, LEGO City, Land of Adventure and Miniland. The last mentioned section of the park features replicas of famed Asian landmarks which have crafted out of 30 million LEGO bricks. The park also offers more than 40 rides and various shows and attractions. This resort which is located in the state of Melaka is famed for its many attractions including an Animal World Safari that features several species of native Malaysian wild animals like Malayan tigers and sun bears. Other fun-filled attractions of the park include Monkey Island, a Water World Wave pool and a Lazy River, which as its name suggests encourages you to kick back and relax as its waters twirl you around. As night falls over the park, guests are transported to the US state of Texas at the park’s Cowboy Town which features parades, carnivals and various other quintessential American themed attractions like a bowling alley, a shopping village and restaurants that offer western foods. Considered to be Malaysia’s prime ecotourism destination, the Bukitmerah Lakeresort hosts three major attractions – Eco Park, Water Park and a conservation effort in the form of Orangutan Island. The resort which is situated on the banks of Malaysia’s largest fresh water lake, also hosts several exciting rides like the Sandy Beachfront wave, the Giant Wet Bubble and the Boomerang fun slide amongst others. The park also offers opportunities for many recreational activities like ATV riding, canoeing, rafting, sky trekking and much more. The Bukitmerah Lakeresort guarantees hours of fun for ages. The Berjaya Times Square Theme park is the largest indoor theme park in Malaysia. Housed within the gargantuan Berjaya Times Square mall in Kuala Lumpur, this theme offers fourteen rides within its two main spaces, Galaxy Station and Fantasy Garden. Star attractions at this park are the 800m long Supersonic Odyssey and the super, spooky Haunted Chamber, a relatively new attraction. The Mines Wonderland theme park is a popular weekend getaway for the residents of Kuala Lumpur, as it can be reached via a twenty minute drive from KL city center. The Mines Wonderland theme park has been constructed on an old mining site and offers various entertainment options like an Ice factory – the first winter wonderland in Malaysia which features 10,000 sq. foot snow house where temperatures are a constant -10°C to -15°C, a truly exceptional attraction in the hot, humid climes of Malaysia. Other attractions in the park include an Aqua Laser Show, a vintage car exhibit, a mini-zoo and a musical fountain display. The Genting Highlands Theme mark offers more than forty thrilling rides within its main areas mainly-the Outdoor Theme Park and the Indoor theme park. This park which was built at a considerable expense by its founder Lim Goh Tong also offers several rides which are especially earmarked for young children, rendering it a perfect theme park option for families vacationing with children.